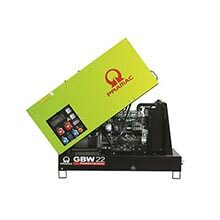 Even if you can't find the ideal diesel generator for your needs on this page, get in touch and we'll get hold of the perfect generator direct. 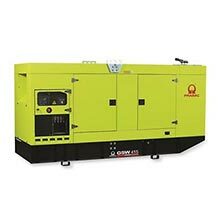 At Advanced, we work only with the best generator manufacturers in the business, and have a wide range of high quality diesel generators for sale. However, the requirements and specifications will vary from one user to the next, which is why you must go the extra mile to find the best solution for your family or business. Many users assume that generators are categorised solely by the diesel versus petrol debate. While this is a crucial starting point, it’s important to know that various diesel generators can offer a different type of service and function. Another thing to think about is that the differentiation isn’t just limited to the choice between Pramac, Perkins, Yamaha, Honda, Yanmar or a Cummins Diesel Generator UK Built. Every type and model of generator at Advanced is capable of providing backup electricity with immense reliability. The quick speed in which they kick in means that you often won’t even know about the transition from primary source to backup energy. Given our intense quality control testing too, there’s no doubt that diesel generators can be a winning addition to your home or business. As mentioned above, the type of generator selected isn’t the only key factor to consider. The choice of manufacturer will hold a huge influence while the power provided by each model will influence the capabilities as well as the costs. 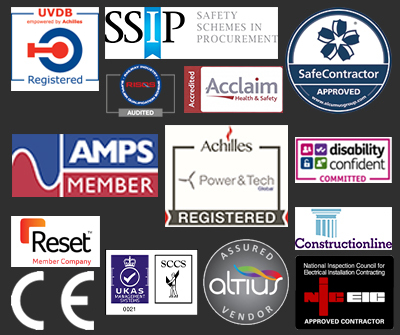 Furthermore, the accessories can be bespoke to your requirements depending on the usage as well as whether items are to be used exclusively in one UK location or may be needed elsewhere. All major life purchases are about finding the balance, and those sentiments certainly ring true when purchasing a diesel generator. If you’re still not entirely sure about which solution is the most suitable, our experts are happy to discuss your options with you. They are available Monday to Friday, 9 to 5 via phone on +44 1977 657 982 or via email at enquiries@adeltd.co.uk. Once you have the right type of unit, your home or business will be in far greater health. Diesel generators are truly incredible machines that can be used by homeowners and business owners alike. Their ability to provide backup electricity when the local power lines are down is second to none and can provide owners with both emotional reassurance as well as the obvious direct benefits. Portable diesel generators offer great versatility. They’re lightweight but pack a powerful punch when needed, providing the crucial backup energy you need to get through any power shortages. They can even be used at home or taken to your static home or other places of interest that they need to be utilised. 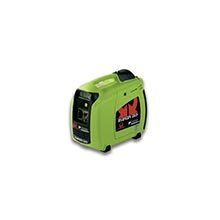 <>br> A range of portable diesel generator units are available, including inverter generators with AC outlets and portable suitcase generators to heavy-duty portable gensets complete with transportation kits. Noise levels are one of the few potential stumbling blocks that you may face, but a super silent diesel generator will soon overcome this issue. As the name suggests, they run very quietly, thanks to close-fit sound attenuated canopies, so that you can get on with your various assignments without any distractions. This option can be particularly popular in commercial settings. Enclosed generators are available with extras, such as 400 or 240 volt, 16 or 32 amp sockets. making it even easier to find a model suited to your specific requirements. Open generators are most commonly used in industry as their lack of sound attenuation can be distracting for home usage. However, they are capable of providing huge amounts of power at 1500 rpm, which makes them very useful when running lots of machinery on site. With an open generator, it’s easy to make a wide range of modifications too, enabling our team to provide you with the perfect solution for your company's unique requirements. At the lower end of the spectrum, single phase diesel generators are probably the most affordable, with the cheaper options starting at around £1500. They are designed to create a single, continuously alternating voltage. This means they are best used for light energy loads. They can be a popular choice for homeowners and small businesses alike. When simply powering lighting or other items with low-consumption, this is a very cost-effective solution. Home generators can come in many forms, covering portable, silent, and single phase options to name just three. Generally speaking, they do not need to provide a huge transfer of energy. However, they may be required to provide the backup for longer periods of time. After all, businesses are likely to have someone on the case regarding the drop in primary energy sources. As a homeowner, you’re more likely to be at the mercy of the energy suppliers. 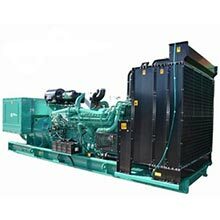 Genset is a term to describe diesel generators in general. 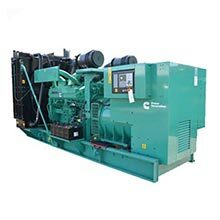 More specifically, it covers diesel generators that combine a diesel engine with an electric generator that runs and makes power. They can be open or enclosed while variants include portable, heavy duty and key start solutions. As with home generators, gensets is a term used to cover many of the types already mentioned. Just be sure that you are getting a reliable service from a trustworthy manufacturer, and you’ll be fine. Standby power generators are an ideal source of backup energy for the home, particularly for those that have solar panels or other items to live off-grid. When electricity is temporarily dropped, this will get the home systems up and running in style with immediate results. Providing that the generator has an electric start control panel and a ready fuel supply. 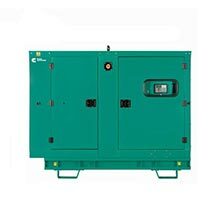 A standby diesel generator can also be utilised by business that cannot afford a drop in power even for a few minutes. Power capacities can vary massively depending on the exact model you opt for. Stage 3a generators are a legal requirement for mobile applications including weddings and temporary building sites. Without getting too technical, it all relates to the emissions. While stage 3a generators can be broken down further by various letter classifications, you need not worry. At Advanced we stock reliable and legally complicit stage 3a diesel generators. They are capable of handling a lot of power for long periods, even as the primary source of electricity.